1.00 The purpose of this policy is to define the categories of usual and reasonable expenses related to the administration of the Wilfrid Laurier University Pension Plan (the “Plan”) eligible for reimbursement from the Plan subject to rules outlined in the Pension Benefits Act, the Plan Text and trust agreements, and as permitted by common law. 2.00 This policy applies to expenses related to the registered Plan only. Expenses arising from non-registered pension or benefits plans are not eligible under the terms of this policy. 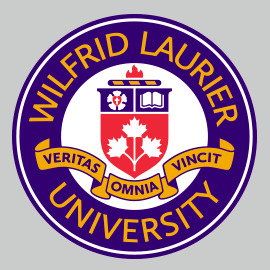 3.00 The Wilfrid Laurier Pension Plan is registered with the Financial Services Commission of Ontario (FSCO). Payment of expenses from the Plan are subject to rules outlined in the Ontario Pension Benefits Act, the Plan text and trust agreements, and as permitted by common law. As part of WLU’s overall pension governance, and in their role as Plan Administrator, it is important to formalize a policy outlining the guiding principles for the payment of expenses related to the administration of the registered Plan. WLU’s philosophy around the treatment of Plan expenses is that all legitimate expenses reasonably necessary for the administration, integrity and existence of the Plan will be charged to the Plan. WLU will charge to the Plan all legitimate expenses reasonably necessary for the administration, integrity and existence of the Plan. Based on Financial Services Commission of Ontario (FSCO) policies, case law, and common practice the following categories of expenses will be considered usual and reasonable and therefore will be charged to the Fund unless the University decides to pay such expenses directly. The Office of the Vice-President Finance and Administration will be accountable for reviewing and approving expenses to be paid from the Fund in accordance with applicable legislation and the terms of this policy. Other trustee/custodial services including reporting, transaction charges, pension benefit payment services etc. The following expense categories based on Financial Services Commission of Ontario (FSCO) policies, case law, and common practice are not payable from the Fund. The Pension Benefits Act, the WLU Pension Plan text, and the WLU Pension Plan trust agreements (both historical and current) have always given WLU the authority to direct that all of the expenses related to the administration of the WLU Plan and the WLU Plan fund shall be paid from the Fund. To review and approve expenses to be paid from the Fund in accordance with applicable legislation and the terms of this policy. To update this policy, as required, to ensure compliance with applicable legislation. In preparing invoices, will clearly describe on the invoice the nature of the expense and will recommend payment from the Fund, or outside of the Fund, based on applicable legislation and the terms of this policy. To establish, adopt and periodically review and amend as required an expenses policy for the Pension Plan. Further, to regularly monitor compliance by all participants with this policy and to determine an appropriate action for non-compliance.